The Mazda CX-3 is the popular subcompact SUV that needs to be explored in Schaumburg. When you want to feel safer on the roads, the technology in this vehicle is sure to impress. Plus, you can see why Mazda engineers are winning awards. Mazda's CPO program is good news for people wanting a great vehicle that is practically new yet quite affordable. We here at Napleton's Schaumburg Mazda can't stop talking about the program, especially its benefits. The benefits are many, but the following two are among our favorites. Every CPO Mazda comes with two warranties. The first is a 12-Month/12,000-Mile warranty that extends the 3-Year/36,000-Mile warranty standard on brand new Mazda vehicles. This warranty gives you a zero out-of-pocket deductible on covered repairs. If the Mazda CX-5 is on your list of potential purchases, you will be pleased to know it is a popular crossover SUV with much to offer consumers. At Napleton's Schaumburg Mazda consumers, we take pride in keeping our customers informed about our models, so you can read further to learn about a few technology features that come with the CX-5. 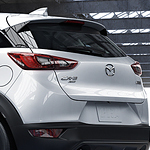 The CX-5 comes with the Mazda Connect infotainment system. This infotainment system features a seven-inch full-color display that is user-friendly. It supports many functions, which include Apple CarPlay. The Mazda CX-9 includes a number of cruise control technologies in its design package. There is a lot of technology inside of the new Mazda CX-3. At Napleton's Schaumburg Mazda, we’re happy to show you all of the features. You can enjoy the convenience, the comfort, and the safety offered by all of these features. A lot of the technology is designed to improve your commute. You can enjoy hands-free technology with Bluetooth, an active driving display to show you all of the most pertinent information so your eyes don’t have to leave the road, and navigation for getting to your destination. Have you seen the all new Mazda Miata MX-5? The exterior of this car will certainly turn heads, but it’s the powerful handling and sleek features that make the number one sports car according to US News & World Report. While the Miata MX-5 RF is not the most horsepower-fueled sports car on the road, its lightweight design and handling make all the difference. You’ll feel as if you are in a larger sports car with a ton of power every time you accelerate. One thing you want to avoid when looking for a pre-owned vehicle is going cheap. This is especially true with Mazda because there are a ton of benefits you can choose from when buying a certified pre-owned vehicle. 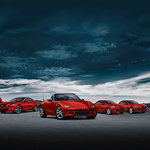 Mazda will not only present you with a reliable vehicle, but also a bunch of features and benefits to help you feel like you made the best choice. At Napleton's Schaumburg Mazda, we’re excited to show off all that the Mazda MX-5 Miata RF has to offer. The performance features, in particular, should be identified. The engineers have worked hard to make the 2019 Miata better than the previous generation. The new Miata RF is lighter by design. In addition to the aluminum power plant frame being reduced by approximately 20%, the connecting rods and pistons were lightened, too. This provides a more responsive driving experience. 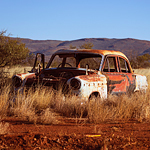 There are a few things that any person can do to make sure their vehicle does not suffer as a result of salt corrosion. We want to explore them with you right now. If you are in the market for a compact car that comes with more than its share of safety features, then you want to take a closer analysis of the Mazda3 Sedan before making a buying decision. The benefit of the rearview camera system in your new Mazda3 is that you will no longer have to worry about not seeing clearly behind you. Activated as soon as you shift your car in reverse, the center console screen is now your live monitor to everything stationary or moving directly in the path as you begin rolling back.